The designer Katrin Oeding has received multiple awards and is an appointed jury member of some of the largest creative festivals in the world. 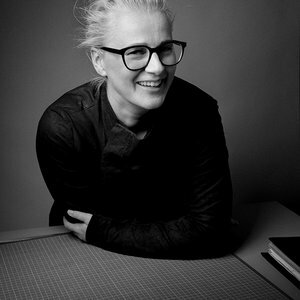 She is the founder and managing director of the international design agency, Studio Oeding in Hamburg. After working as an Art Director and Creative Director at the renowned Hamburg agencies Jung von Matt, Philipp und Keuntje and Kolle Rebbe, the qualified Communications Designer established the agency KOREFE (Kolle Rebbe Form und Entwicklung) with Stefan Kolle in 2006. As Head of Design, the trained Poster Artist developed new brands, products and packaging designs such as the agency’s own, internationally awarded product line “The Deli Garage” or the prize-winning cosmetics range “Stop The Water While Using Me”. These works illustrate Oeding’s belief that successful design must always follow a holistic concept. This approach is applied consistently throughout the whole development process until the market launch. Katrin Oeding has handled many international brands like Audi, Sixt, René Lezard, Lamborghini and Telekom. Since establishing her international design agency Studio Oeding in 2011, she has been developing designs and strategies for brands, products and companies as well as innovative solutions for clients like Nivea, Base, Edited, Closed, Blume 2000 and Mercedes. Katrin Oeding is a designer with gasoline running through her veins, so it makes sense that she is also the co-founder of the motorbike brand Ehinger Kraftrad and the founder of the motorbike-sprint-marketing Essenza – The Essence of Motorcycles.